With the news that Carlos Sainz is moving to Renault for the 2018 season, Toro Rosso have been searching for a replacement. 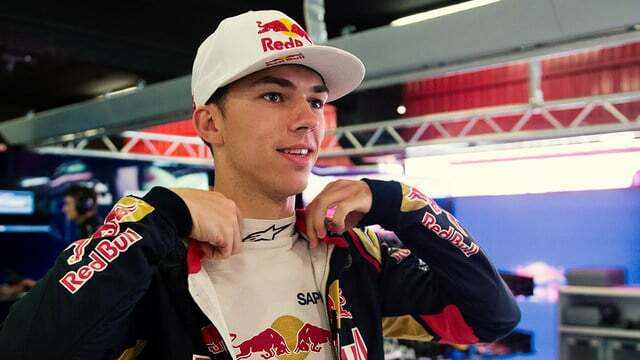 They've decided to test a new face out already, with Pierre Gasly set to step into the seat of Daniil Kvyat for the Malaysian Grand Prix and perhaps a few more. Toro Rosso's official annnouncement suggests multiple races without being specific, and team boss Franz Tost says: "For a variety of reasons, some of them due to technical problems, but others being mistakes of his own making, Daniil Kvyat has not really shown his true potential so far this year, which is why we are standing him down for the next races. This will give us the opportunity to evaluate Pierre on track during a proper race weekend." The team do make a point of saying that Kvyat isn't leaving the team and is still part of the Toro Rosso family, but having already faced demotion from the A team of Red Bull, the future doesn't necessarily look bright for the Russian racer.